Want To Learn Relationship Building Skills? Here's Your Chance. 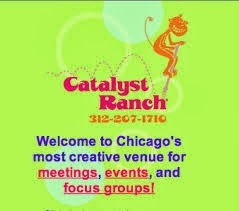 Catalyst Ranch is an outrageous place. So you know I love it! It's a creative meeting and events space that delights your senses and sparks your imagination. You have to see it! I started a series of three presentations on June 3, 2013 and it was fantastic! The second was in September and there's just one more: a different topic - a stand-alone presentation - so if you didn't make it to the first two you will still "get" it. On February 10th I'll be doing my program on how to dramatically improve your effectiveness with the people you work with, the people you supervise, the people you're trying to motivate, your clients, spouse, significant other, kids...everyone! So mark your calendar now: February 10th. Call (312) 207-1710 to register or click here to register online. My heart goes out to Michael Bay. Public speaking isn't easy. And Michael Bay is a behind-the-scenes kind of guy, a director, so he was counting on that teleprompter. As can happen, technology failed and he didn't know what the hell to do. So he walked off the stage. It can happen to anyone. It's not that it happens that's the problem, it's not knowing what to do about it. One of the topics I cover in my Speakers Schools is how to handle a situation like that; what to do if you forget what you were going to say, how to ad-lib, how to get the audience on your side, how to overcome your nerves...all the things that happen to us when we least expect it. REGISTER NOW for April 24-26, 2014. Sorry, the February school is sold out but there's still time to register for the next school in April. You'll have to hurry, though...there are only TWO SPOTS AVAILABLE. NOTE: If the April school fills up and we have enough interest we will add another Speakers School on July 24-26, 2014 (in addition to the three per year we already have), so please send us an email if you're interested.samantha@mikkiwilliams.com or mikki@mikkiwilliams.com. CPAE is a lifetime award for speaking excellence. 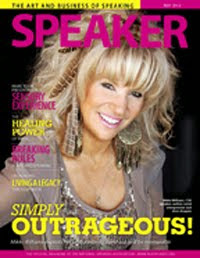 Fewer than 1% of all professional speakers hold both designations. Speakers School is for business people, executives, coaches, sales people, administrators, teachers, etc. It's for anyone who wants to feel more comfortable when presenting and to learn how to craft THE most impactful speech, whether it'a a one-on-one situation or in front of a crowd. Learn tips from one of the country's leading professional speakers. If your goal is to be a professional speaker, then Speakers School will get you started, and if you're already a pro it will help you go to the next level...fast.